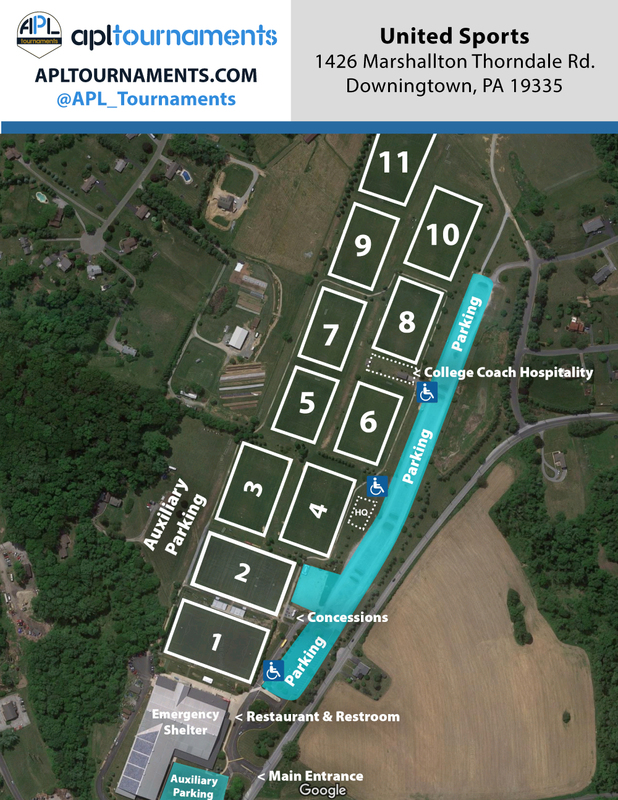 APL Tournaments has partnered with Pipeline Soccer Club to host the Inaugural Pipeline Invitational Tournament. This tournament will take place on synthetic turf fields at United Sports in Downingtown, PA on Friday, November 23rd and Saturday, November 24th. All teams will receive a minimum of 4 games. In the event of inclement weather, APL Tournaments reserves the right to alter schedules, fields, and playing time, and/or cancel any and all games impacted by weather conditions to maintain safe play conditions and/or keep on time. There may be a portion of your registration fee refunded/credited if games are cancelled due to weather related conditions. Thank you for applying to the Pipeline Invitational. CLICK HERE TO VIEW THE TOURNAMENT HOUSE LINK. To insure the quality of service provided during our tournament, APL Tournaments has appointed THS as the official Hospitality Service for all of our events. All teams are mandated to book any hotel reservations through THS to insure their place in our tournaments. Any teams that do not comply will be at risk of forfeiting their acceptance. By using THS as our booking service for the Pipeline Invitational, we are able to offer Cancellation Insurance with the "Act of God" Clause. This states "Should this event be cancelled for reasons beyond the Event Organizer's control (including weather), all outstanding reservation will be released at no charge to the participants.